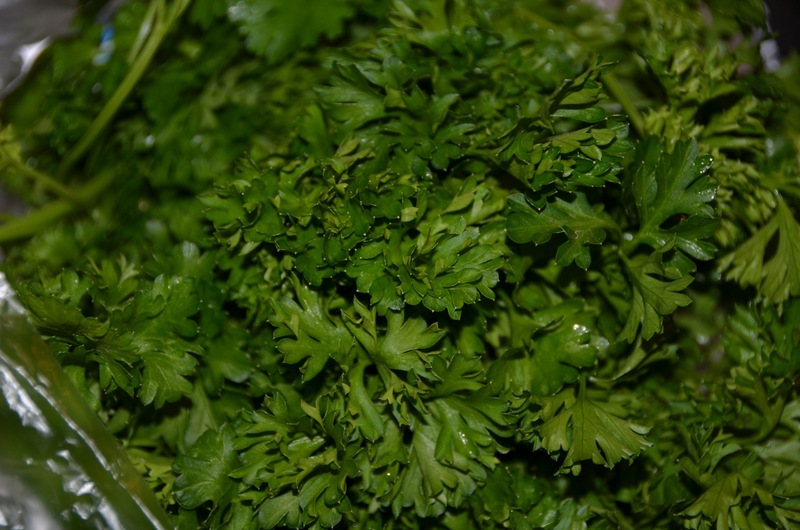 Honestly, probably a lot of things, but this snack was just what I needed when I was asked to bring an appetizer to a church gathering a couple weeks ago. Drizzle portobello mushroom caps with olive oil. 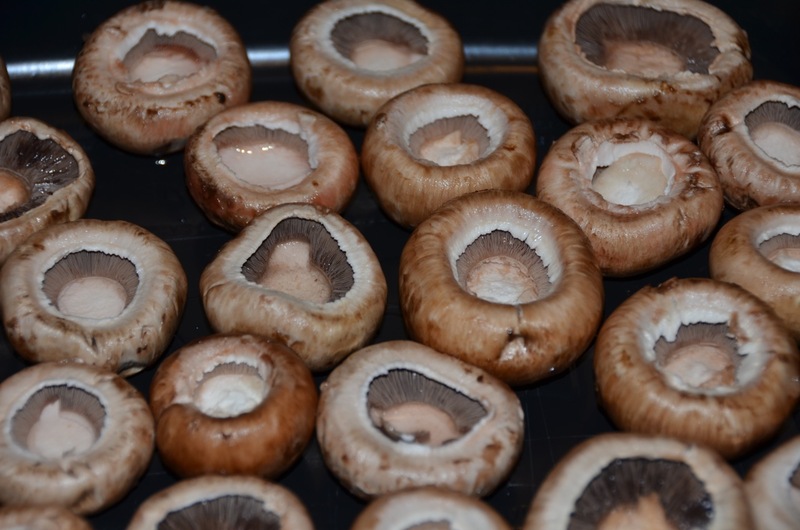 Place in 350 degree oven for 10-15 minutes, or until mushrooms are just turning brown. 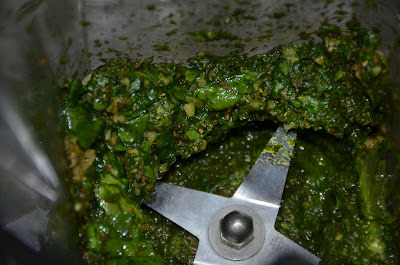 While mushroom caps are baking, place the garlic, spinach, parsley, basil, soy sauce, olive oil and cayenne pepper in blender in order listed. Blend ingredients, increasing speed to high. Blend for about ten seconds. 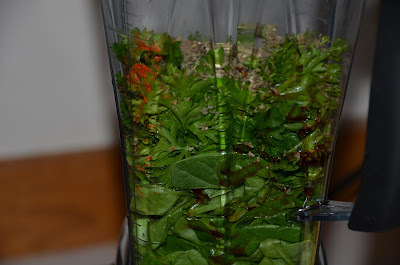 Add the soaked walnuts and sunflower seeds (I soaked the walnuts and sunflower seeds in water overnight in a mason jar) and blend for 30 more seconds or until creamy. 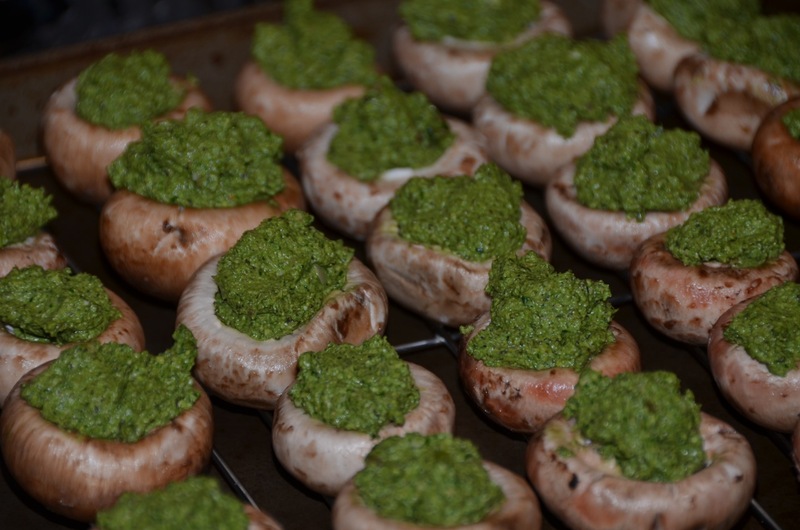 Fill mushroom caps with pesto. Warm mushrooms in oven for about 15 minutes right before serving. The stems popped right out of the mushrooms...and after drizzling with olive oil, I stuck them in the oven while I prepared the pesto. This bundle of parsley had been sitting in our fridge from another recipe. Doesn't it look pretty!? 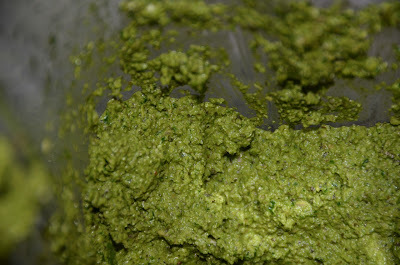 Eventually, the pesto became nice and creamy. and then warmed the mushrooms for about 15 minutes. 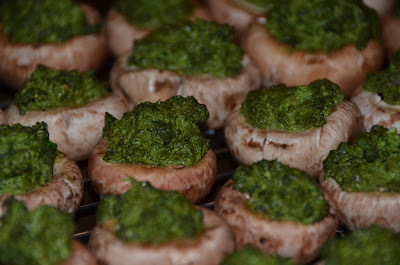 The mushrooms were a hit at church. 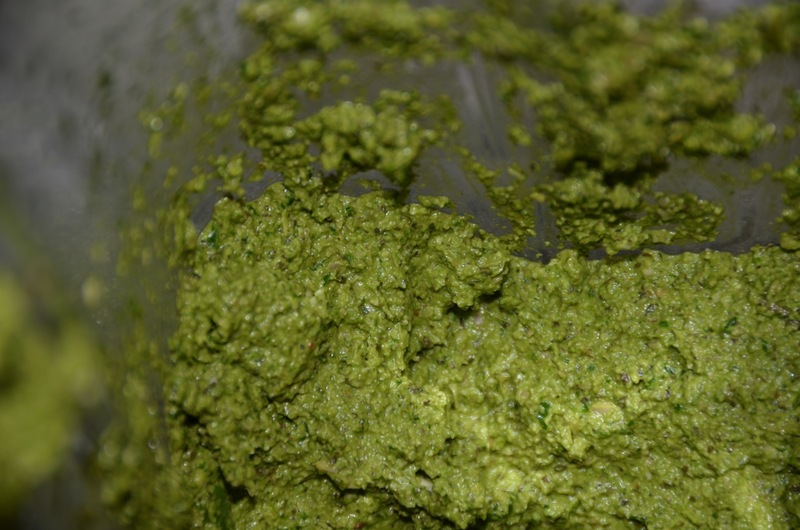 As with many of the recipes I post, the ingredients in this pesto can be easily altered.